The Growl is coming back!!! No, not the sound caused by your late night hunger pangs! I managed to talk the Stamp Bears Admins into restarting The Growl and letting me be the editor for this year. Of course, now I need the help of all my fellow Stamp Bears to make me look good smiley-face-whistle-2 (no snarky comments, Kris! ), as it won't be possible for my paws alone to fill Darrin's shoes. So this is a call for article contributions!!! If you don't know how to do 2-column format, don't worry -- just submit it as 1-column. Please use Times New Roman 12 point in your final submission. It's a standard font. Use Microsoft Word if possible, as I will be editing in MS Word. Because of my fluid schedule, I would like to have 2 issues worth of articles ready, before the first issue actually goes out. Which means I am currently in article collection phase. If you feel you can provide anywhere from 3 to 6 articles (even 1-page is fine) for one year, then I can assign that feature to you (if 6 articles, or you can co-write if you can provide 3 articles). But even one article is fine -- at least we can get the feature started! Hopefully another bear can provide the next article. For example, I've already recruited 3 bears to help out with the Literature Review feature. You DON'T have to fill full page(s). I can insert little stamp tidbits here and there to fill out the page. Just write whatever you need to write, without having to worry about space requirements/limitations. And remember, a picture is worth a thousand words! One of the things I would like to encourage is what I call "short features". I hope Stamp Bears who might feel intimidated by writing a full article, will see this as an option to start in philatelic journalism. These can be 1/2 page, or even 1/4 page shorts. If enough people get involved, I might even be inspired to sponsor a giveaway each issue for this year! So everybody try to pitch in (if not to make me look good, then at least to make Stamp Bears look good!). Feel free to post any questions here. Check with me first regarding ideas for article submissions, to make sure we don't have somebody else already doing it (or maybe you can collaborate!). Final article submission should be emailed to me. I'll start a 'Medicinal Plants on Stamps' thread and hopefully also figure out a way to contribute something in the same category to the Growl. EDIT: I just checked ebay....Certainly no shortage of stamps, 495 listings in this category! Yay! I will buckle down and prioritize now that my computer issues have been corrected. If you need scans of 1990 UN NY/Geneva/Vienna set, let me know. I can provide that. I'm looking for submissions that run the spectrum of helping beginner, intermediate, or advanced collectors. So I think there is a lot of wiggle room. And you'd be surprised how easy it is to fill even just one page. 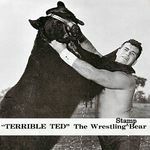 In fact, quite a few posts on Stamp Bears could have easily been an article, either single posts, or maybe 2 posts combined -- all it takes is a pic or two, and a couple of paragraphs. You can make it fancy, or keep it nice and simple (beginning collectors like "simple"). Together, we can get this going again! I want to bump this thread by taking the opportunity to thanks those who have already emailed me article submissions! Remember, I am calling for and collecting shorts/articles/series for the next TWO issues of The Growl. So keep them coming! I'll try to keep up! Since I know everybody is bored and has nothing to do this weekend. This is something for you all to do! Thanks for the article submission Craig! Just noticing this post now .. will send you a note with some ideas. khj, I just sent you a short intro piece from me for the new issue of The Growl as well as a longer topical piece about Korea via email. I just discovered this thread. Is The Growl newsletter still in existence? I did receive a number of articles (thanks again to all who submitted) and it was it going to come out back in August 2016, but then my house got robbed in July. I lost 4 laptops, including the new one that I had just installed MS Publisher. So everything got put on hold. At any rate, I'll be tied down until mid-September, so I won't be able to work on it until after that. Sorry for the super-long delay. If you are looking for a low cost alternative consider Scribus. It is free. I used it to create album pages. I have a license for Publisher but Scribus has alignment and distribution featurs that help. Thanks for the suggestion, but at this point, I don't have the time to learn a new layout software. The advanced editing capabilities of MS Word are hard to beat. Main thing is convenience of familiarity. KHJ- Thanks for answering my question. How are things going, with getting The Growl roaring? This is something in which I would very much like to be involved. I have recently been contemplating creating a podcast or a YouTube vlog on stamp collecting. But, realistically, I think just the technical aspects of recording, editing, uploading, etc, would be too daunting (read: time consuming). I would just as soon stick to writing, and let someone else do all the heavy lifting. Thanks for the reminder. I ran into a snafu when my house got robbed and I lost the license to my desktop publishing software. My default was to use MS Word, but then this nightmare called Windows 10 came along. I think the past 2 weeks my laptop has finally stabilized after the disastrous Win10 forced update in September. I'm still afraid to turn on certain "features" of Win10 (such as sleep!!!) for fear that the laptop freezes/crashes will return. However, the 2 subsequent and rapid biweekly Win10 "updates" (i.e., corrections to their fiasco) seem to have solved most of the stability problems.